Changes made to individual shifts are stored in the Shift History. 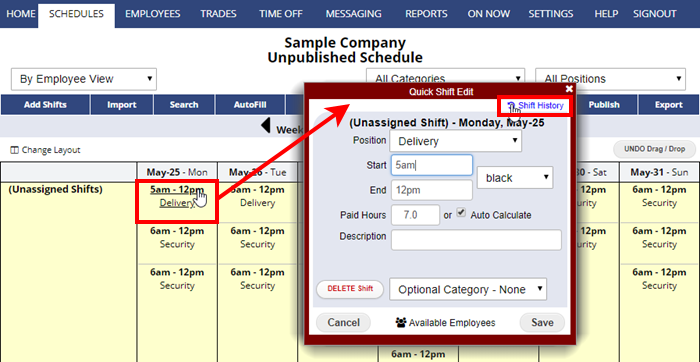 Go to the Reports section to export a whole list of changes made to various shifts for any date range. Simply select your date range and run the Export Recent Shift History on our REPORTS page. This will show you the individual shift changes made in the last 45 days for all shifts. So any change made (even to shifts not in that date range) will be listed. 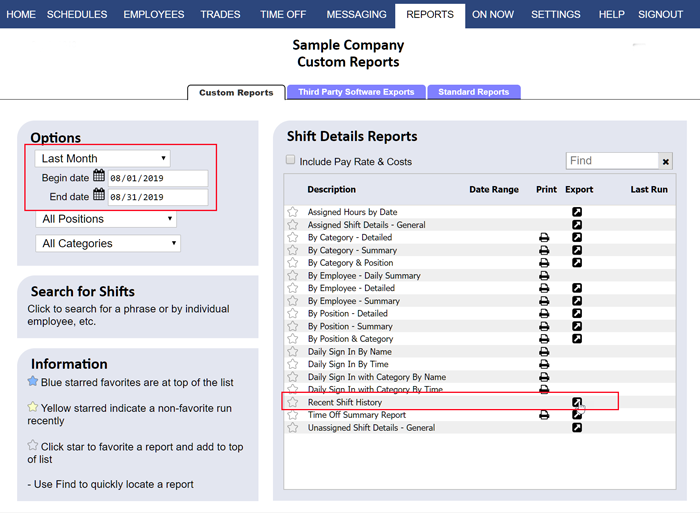 If you would like to permanently archive changes made to shifts, you might run this report every 30 days and simply archive it, so that after the data disappears from your account (when it is past the 45 day limit) you’ll still have the Shift History information stored in this report.